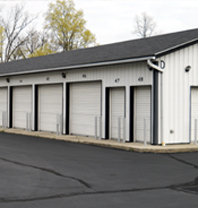 The professionals at Storage North in Delaware, Ohio, are here to serve all your storage needs. With many different sizes of storage units available, you're sure to find just the one to suit your requirements. You benefit from day and night ADT security video surveillance, security lighting, storage units with fire-resistant steel siding, and full steel partitions to protect your possessions. Our customers receive their own lock and key, along with the peace of mind of doing business with a trusted name in local storage. Whether you’re storing personal possessions during the process of moving into a new home or storing old business documents for recordkeeping, we have the perfect self-storage solutions. We make sure to keep each and every unit clean and secure so you won’t have to worry about your possessions being damaged, vandalized or stolen. Our storage unit rentals come at reasonable rates, so you can count on Storage North to keep your possessions safe without it costing you an arm and a leg! Storage North offers the following rental terms: by the month, 6 months, or annually. Keep your belongings safe and secure in storage units from 5x5 up to 12x40, with many options in between. 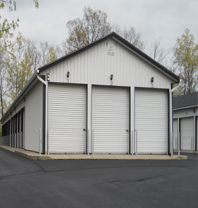 Whether you're a business in need of a place to store excess inventory or an individual in need of extra space for your things, give us a call at (740) 363-0022 to discuss availability and pricing. We'll work hard to earn and keep your business. We serve customers throughout Delaware, Galena, Worthington, Westerville, Marysville, Lewis Center, Powell, Ostrander and the surrounding areas.